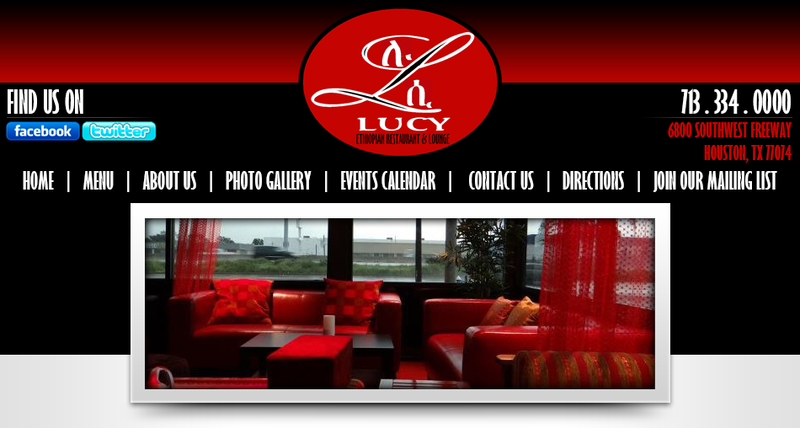 Lucy Ethiopian Restaurant & Lounge (139840), Houston Reservations Welcome Lucy Ethiopian Restaurant and Lounge! Lucy is the common name of a specimen of A. afarensis, a direct ancestor of modern day humans whose ancient bones were discovered in the town of Hadar in the Awash Valley of Ethiopia's Afar Depression. Lucy is estimated to have lived 3.2 million years ago and is the first homonoid skeleton to be discovered. She is the missing link in the evolutionary spectrum showing the deep roots of our species in the African continent. Our restaurant and lounge celebrates the roots of humanity in Ethiopia - which you will find in our food, art-gallery, and festivities. We are family owned and operated with friendly staff, delicious food and drink ,and a great atmosphere. Please stop in to eat, drink, relax, and have fun. We'd love to have you! 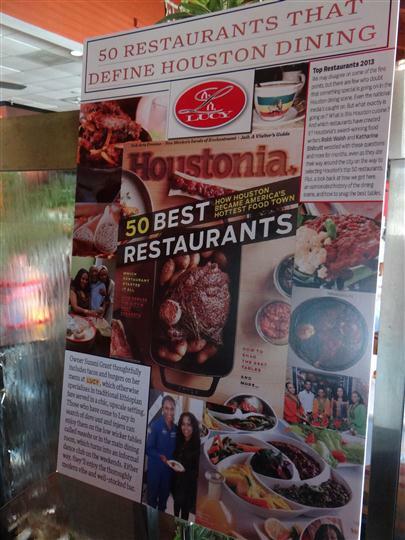 The Houstonia Magazine just named LUCY as one of the 50 Best Restaurants in Houston -October 2013 Issue! Check out our feature in Houston Press!